Guests are welcomed to il Poggiolo with a complimentary “Welcome Basket” containing some light refreshments. Put your feet up and enjoy the view before unpacking. The nearest user-friendly supermarket, with quality local produce, fine cheeses, cured meats and Tuscan wines, is just a 5 minute drive away. Directions are provided in the green “Welcome Book” located in the Kitchen. You will also find practical tips about the house, things to see in the area, our favourite local restaurants, gelaterie (ice-cream parlours) and places to buy schiacciata bread. Il Poggiolo Tuscany wishes guests to experience a home-away-from-home, with the amenities that make life easy when traveling. There is nothing more frustrating than finding yourself in a rental accommodation without essential items such as a corkscrew or an immersion blender, an ironing board and iron, or enough pillows and blankets. This is why you will find all of the following items in your house when you arrive …. and usually more. Check the full list here. In the area, just a few minutes’ drive from il Poggiolo, are all the services that make a holiday easy and carefree: weekly markets and supermarkets, restaurants and pizzerias, historic centers and local museums, boutique and outlet shopping, trains to major destinations (Florence-Rome line), there are friendly pharmacies/drugstores and even a large regional hospital … and much more. 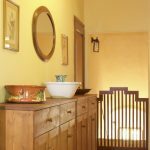 While the location of il Poggiolo enjoys all the benefits of the Tuscan countryside, the conveniences of urban centers are close by. There are toys for various ages, board games and playing cards, and suggestions in the “Welcome Book” for pools and playgrounds in the area. In the accommodations, there is lots of space for all, with many different rooms and garden areas. Families enjoy the large tables for drawing or writing, quiet corners for curling up with a book, and garden lounge chairs from which to contemplate the landscape. Wi-fi facilitates Skype sessions with relatives and friends. Families with smaller children will find cribs for the little ones, and child cots for those of early years. A bannister and child gate on stairways contribute to the peace of mind of parents. Il Poggiolo is pleased to provide an allergy-sensitive environment for guests. A holiday can be totally spoiled by dust, mold, or animal hair nesting in wall-to-wall carpeting, in heavy drapes or overstuffed furniture. While each person’s allergies are very specific, we have tried to eliminate the most common allergy triggers from both interior and exterior environments. A country house is by definition in the midst of nature, where allergens are hard to control. Nonetheless, on our property we have avoided planting the most common allergy-producing trees, bushes, and flowers (such as mimosa). Inside, dust and molds are everyone’s biggest enemy. That is why there are no dust-catching drapes but rather light cotton curtains or traditional wooden shutters (scuri) or blinds inside bedroom windows. The floors are a beautiful Italian tile. Rigorous cleaning standards are applied before and after each rental. The beds are all orthopedic (wooden slats) and the pillows, covers and mattresses are hypo-allergenic. For those with special diet requirements, a variety of alternative foods – such as milk substitutes and gluten-free products – are easily available in the area. We are happy to answer any of your questions and will do our best to accommodate any personal, allergy-sensitive requests. Vacations that are allergy-free are stress-free! We love animals, but due to the allergies of many of our guests (as well as our own), we must maintain a strict no-pet policy. 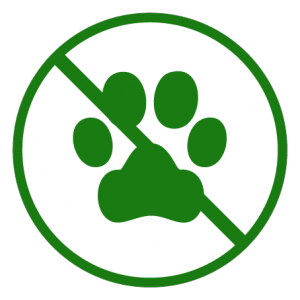 Guests arriving with pets will not be permitted to check in and will forfeit the entire rental fee. 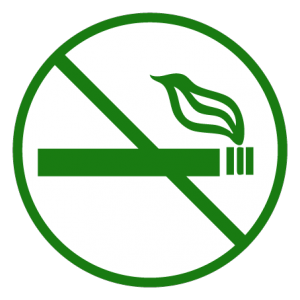 It is also required that there be no smoking inside the buildings. Each accommodation has a garden and lots of space outdoors where it is possible to smoke in comfort . Please note that electrical outlets in Italy require Italian shaped plugs, and voltage in Italy is 220-230. 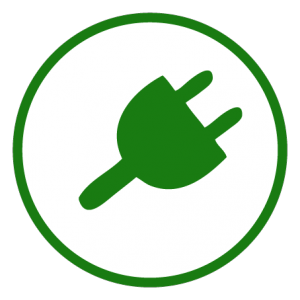 If you are coming from outside of Italy, you will need to bring a plug adaptor for your personal electronics, and a voltage transformer if you are coming from a country where the voltage is 110-120. Most computers and digital cameras have transformers already built into their electrical cords – but please check carefully before you plug in any personal appliance!! Book your Holiday in Tuscany now!